Fulfilling my role as a qualified first aider at my school, completing my schooling career successfully and being involved in community service at homes for disabled individuals. completing my MB, ChB at UCT with excellent results. 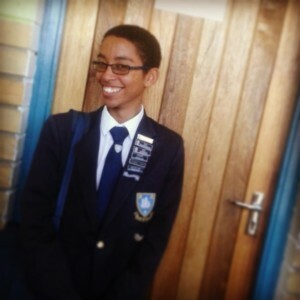 Of my roles as Deputy Head Boy, chairperson of the RCL and MFC and various other leadership roles I fulfil at my school. When my peers experience hardships I often am confided in and I take the lead to resolving the issues they face. My motto in life is “positive outcomes only”, meaning that whatever situation I find myself in I always see the potential positive result. Despite often facing difficult circumstances I endure them and focus on my successes. Solid PERSEVERANCE, true EMPATHY and honest RESPECT. My father’s chronic and cancerous illness, subsequent financial difficulties and lack of money to pursue tertiary education.